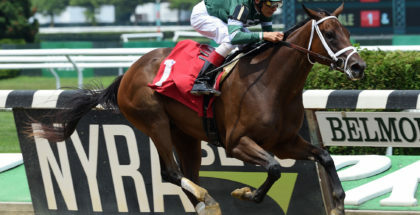 Let’s look at some key elements that horseplayers will need to navigate successfully if they hope to have a winning season at Saratoga. The handicapping aspects this article will concentrate on are 2-year-olds, first-time starters, and horses trying turf for the first time — three very important, yet difficult, areas that players will need to focus on if they hope to have a profitable Saratoga meet. All three of these handicapping subcategories annually play huge roles in the day-to-day racing and wagering at Saratoga. Saratoga is home to some of the country’s best 2-year-old races, and you are more likely to see next year’s Kentucky Derby starters and Grade 1 winners in action there than at any other race meet at any other track at any time of year.